You say no to that face. Even when pranks are excellent, they remain terrible. 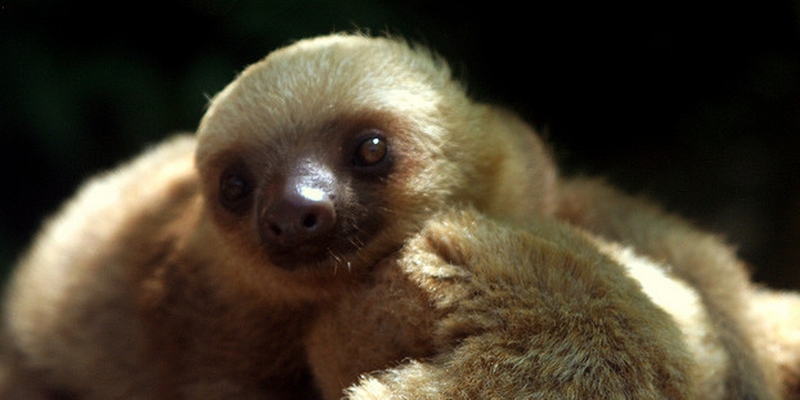 Goddamn, that’s cute—so, as you might imagine, demand for baby sloths at a price point of zero was very high. Apparently people weren’t thinking about the upkeep costs of owning a baby sloth or the fact that baby sloths inevitably grow up into adult sloths. What were people going to do when their free baby sloth grew up? No one was thinking that far ahead as Kameron’s phone exploded with what was an initially confusing, then infuriating, and then finally hilarious amount of requests for the sloth. Hey, copycat pranksters: You’re terrible. Also, most of these ads don’t even have pictures on them. How are you going to get motivated sloth seekers to bother your friends without taking the time to embed an image? That’s lazy garbage. And now Kameron, who was supposed to be roasted, is Twitter famous. What do you do when you become Twitter famous? Threaten to go full Kardashian, it seems? Weird yet potent threat, Kam. The lesson here: No matter how clever your prank is, don’t do it. And if you are going to do it anyway, don’t do it on the Internet. Just mail someone a baby sloth and let them deal with the consequences. Then call them years later and yell “You got slothed!” By that point your victim will have forged a lifelong bond with a weird-looking mammal, and you can claim a producer credit on any and all remakes of Harry and the Hendersons. Spike Friedman is a comedian and writer who has contributed to Deadspin, Paste, Mental Floss, Grantland, and others. He performed on the house team for the Upright Citizens Brigade in New York.